Anger and frustration continued to simmer in parts of the dairy industry as milk price rises continued to stall. Despite announcements this week by several processors that their farmgate prices were due to rise, there was harsh criticism of the pace of change. Indicators for actual milk price equivalent (AMPE) and milk for cheese value equivalent (MCVE) currently sit about 30ppl, prompting NFU dairy board chairman Michael Oakes to ask what was holding back bigger increases in the UK milk price. He said: "With market indicators racing upwards in the UK and EU and our domestic milk production down 8 per cent daily, I cannot understand what is holding back farmgate milk prices to this degree. "Butter prices are now at UK record levels, 108 per cent higher than they were in April; cream prices are 144 per cent higher at well over £1,900 per tonne for October – yet we see little movement at farmgate." Dairy analyst Chris Walkland said the price movement by the bigger processors in particular was at ’snail’s pace’. Processors have been delivering increases in the past few months and First Milk announced it would be increasing its B price to 25ppl last week. Mr Kilpatrick said it was a strong indication market returns were improving but major milk processors were still failing to deliver a sustainable price. "However, most farmers are selling the clear majority of their milk at an A price, which First Milk is increasing by a minimum of one pence per litre from November," he said. 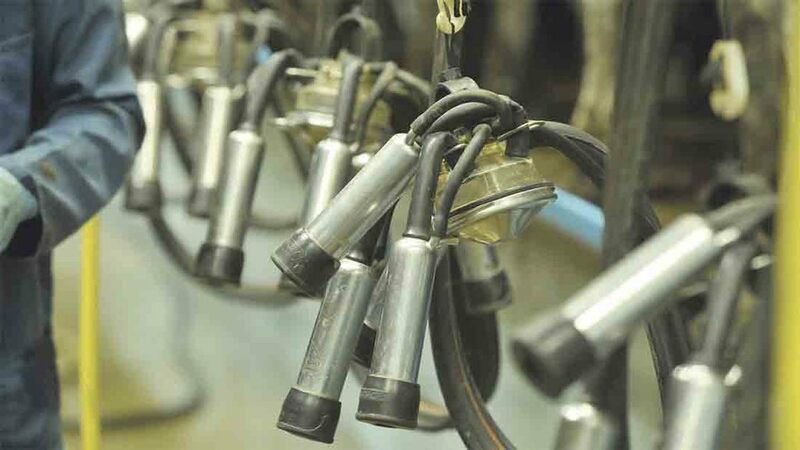 Milk production has reduced by 8.2 per cent year on year according to AHDB. "Milk buyers are failing to deliver a clear incentive to farmers to produce milk while being able to pay their winter bills," Mr Kilpatrick said. Mr Walkland said prices were rising slower than farmers ’need, expect and deserve’. "All farmer prices in Europe are meandering forward at a pace that would put even the slowest of snails to shame, instead of making the giant leaps they should be doing." He pointed to the 30ppl price being paid by Yew Tree Dairies for November and the 26ppl being paid by Crediton in December as ’better benchmarks’ of where the market should be at. "All of the forward prices, futures prices, and market prices point to the fact such prices should, in a fair and just world, be being paid now,”" he said.